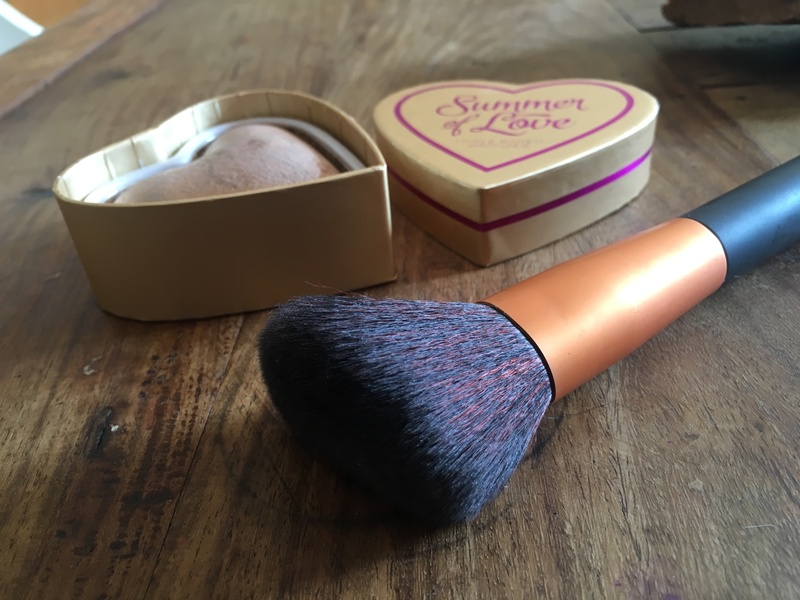 Today marks the fourth day of the Blogger’s Beauty Brawl – where has the time gone?! So far, I’ve enjoyed blogging every day. 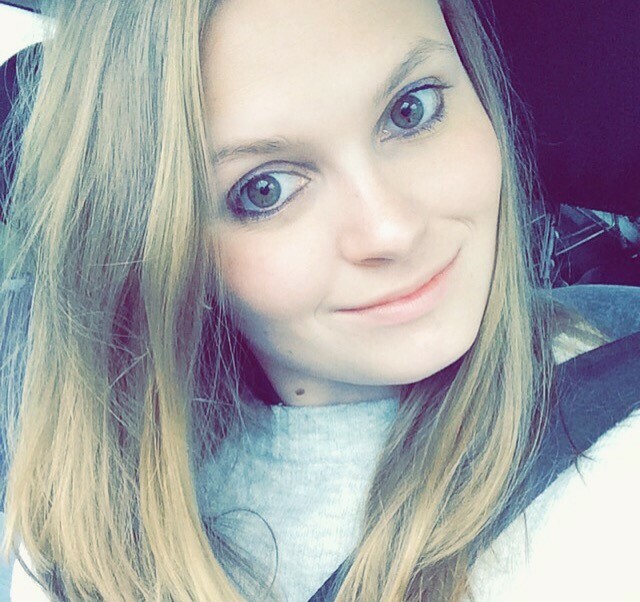 Normally, I blog three to four times a week but I really am enjoying writing a little post each day… Maybe I’ll make it a habit! Like every other makeup addict I am crazy about Makeup Revolution products. The two factors that made me fall in love with them are, of course, their high-quality products and low prices. Could there be a better combination? When I saw the range of cute little heart-shaped blushers, highlighters and bronzers that MUR do, I knew I had to have them. I was going to get all three but as I already have A LOT of blushers, I settled for just Summer of Love Triple Baked Bronzer and Goddess of Love Highlighter. (Review for Goddess of Love coming soon.) The highlighter came in two shades, a lighter one and a slightly darker one. Being super pale, I went for the lighter shade. In hindsight, opting for the lighter of the two shades may have been a mistake. This bronzer sadly isn’t dark enough for my skin, it’s pigmented but not dark enough to show up over my foundation. (It shows up fine on the back of my hand though…) The colour is a shimmery bronze shade that has iridescent undertones. It’s pretty but would probably work better as a highlighter than a bronzer. 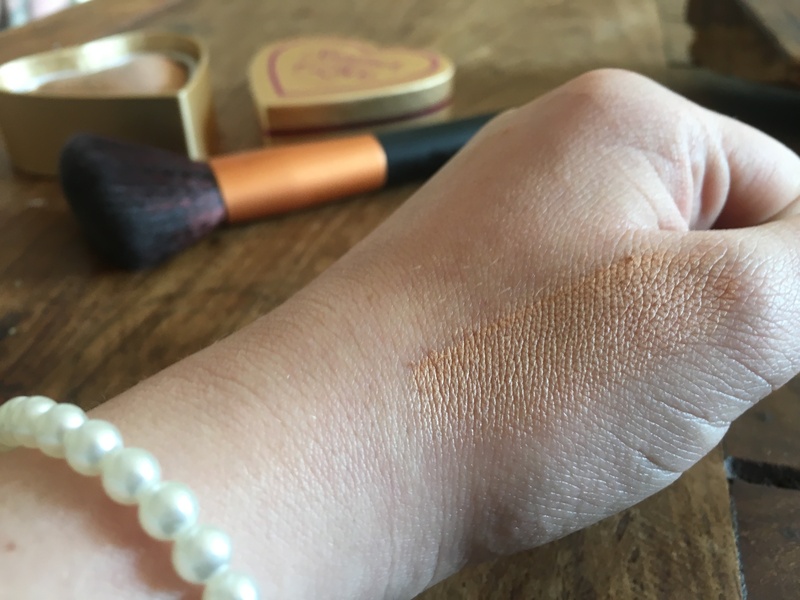 What I love about this bronzer is how easily it blends in, and also the subtle shimmer it gives the skin. I love, love, love the packaging of this product. 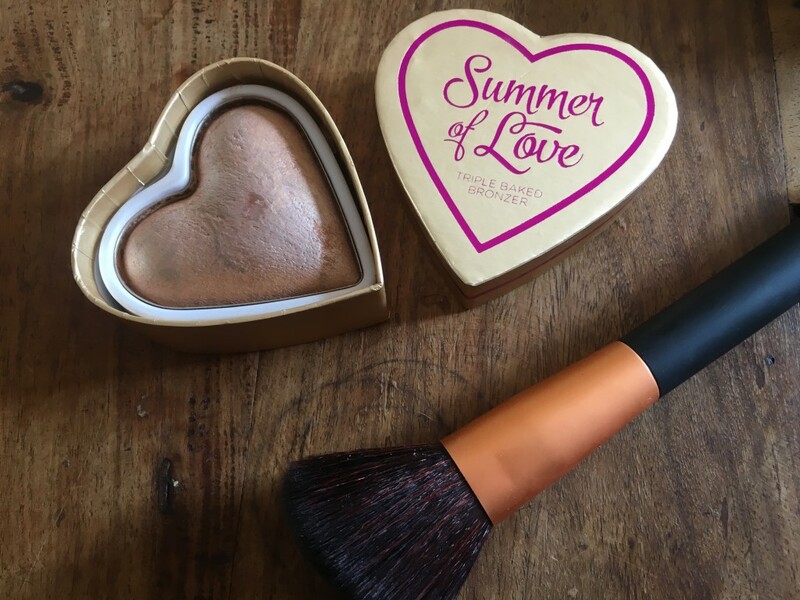 A dupe of Too Faced Sweet Heart Bronzer, the packaging is pretty and feminine. I love the fact that it comes in a cute gold outer box and is housed inside another gold box, this time heart-shaped. The hot pink and gold colour scheme of the packing works well, it’s smart and stylish, and I for one am a big fan. 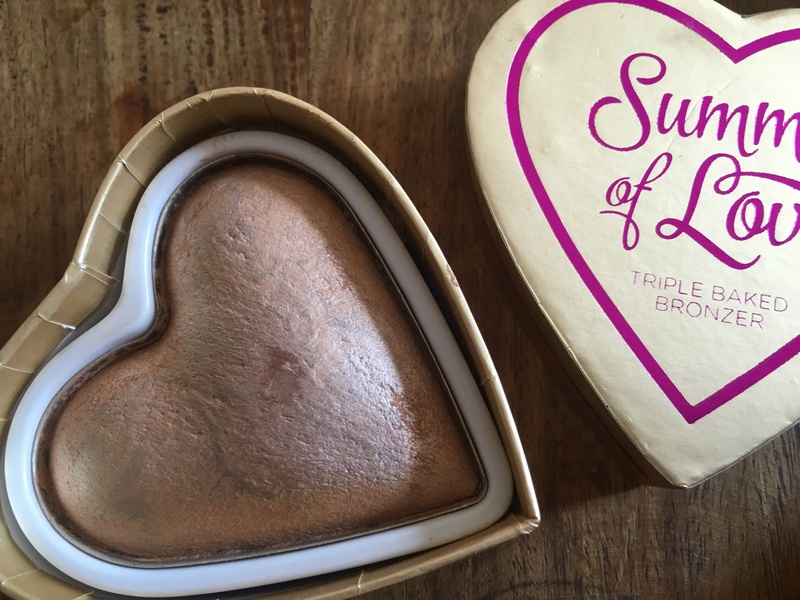 Priced at just £4.99, there’s no doubt about it, this bronzer is a bargain. What I love about the MUR products is that most of the time, despite the low prices, there’s no compromise on quality. I wouldn’t buy the same shade again but the product I 100 percent would do. Come pay day I’ll be ordering the darker shade – Hot Love, and giving that a try. 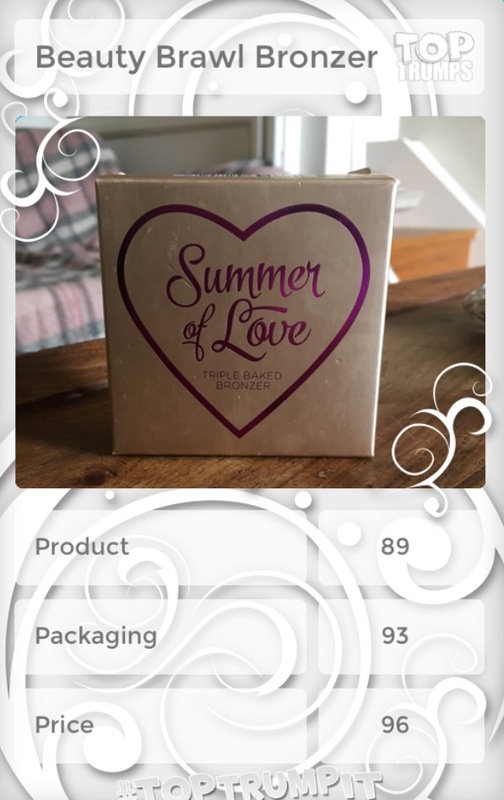 I love how the product applies and blends, the packaging is beautiful, and the price is ideal. It’s just a shame I picked up a shade that was too light.